Like a great leader, a great leadership training aligns the right people to the right task at the right time. Whether you are developing a first-rate leadership development program from scratch or adding to an existing workshop, let leadership expert and master trainer Lou Russell be your guide. 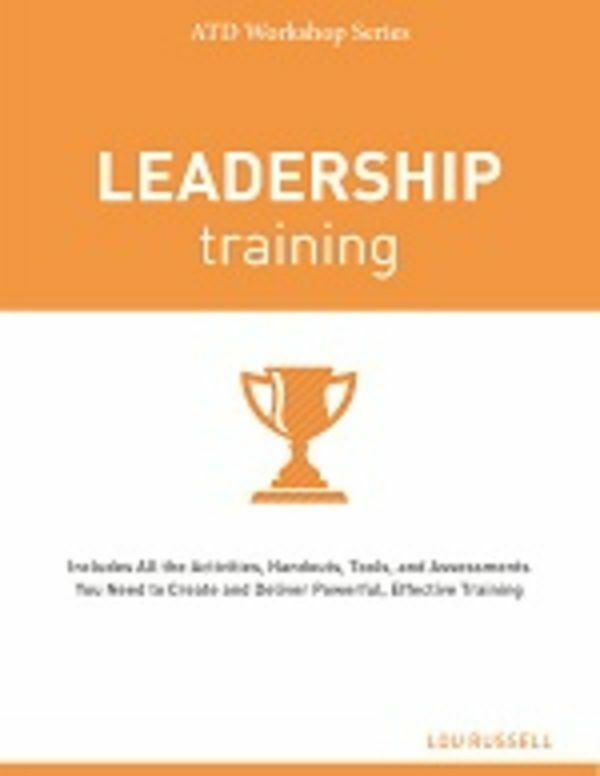 The second book in the ATD Workshop Series, Leadership Training presents a step-by-step blueprint for developing and delivering dynamic, powerful leadership training. Complete with effective training methodologies, this book helps you accelerate learning and leverage technology for maximum efficiency. You’ll also find tools to assess leadership strengths and weaknesses. Half-day, full-day, and two-day workshop programs found in this volume make planning easy and can be tailored for the unique needs of your organization. Supplemental resources are available online and include downloadable and customizable presentation slides, handouts, assessments, and tools. The free, ready-to-use workshop materials (PDF) that accompany this book include downloadable presentation materials, agendas, handouts, assessments, and tools. To download materials, go to https://www.td.org/Publications/Books/Leadership-Training-2 and click on the link to free, ready-to-use workshop materials halfway down the product description. You will be asked for some basic information to create an ATD account (ATD membership not required) and will then have full access to additional materials.